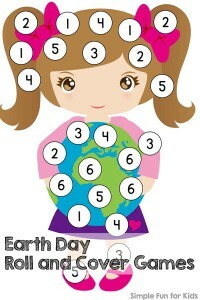 It’s day 6 of the 7 Days of Easter Egg Printables for Kids series today – we’re almost done! 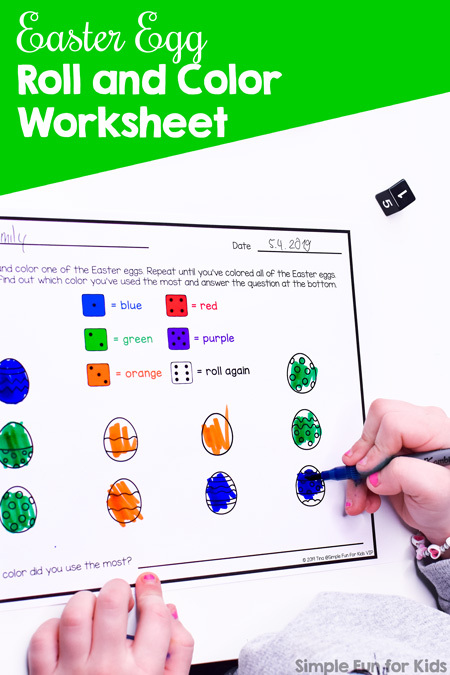 Today, I have a no prep Easter Egg Roll and Cover Worksheet for you. Five colored markers, crayons, or pencils. 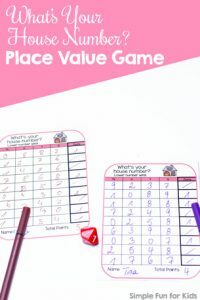 The free version of the printable is a one-page worksheet you can print with no further prep. 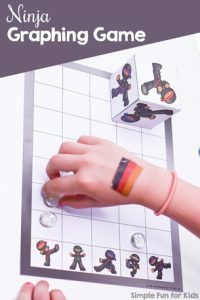 Just supply a 6-sided die and five markers in blue, green, orange, red, and purple. 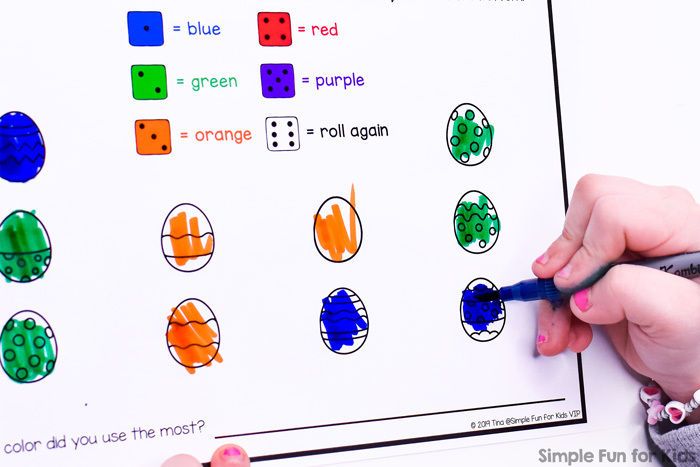 It’s the objective to roll the die and pick an Easter egg to color in the corresponding color. 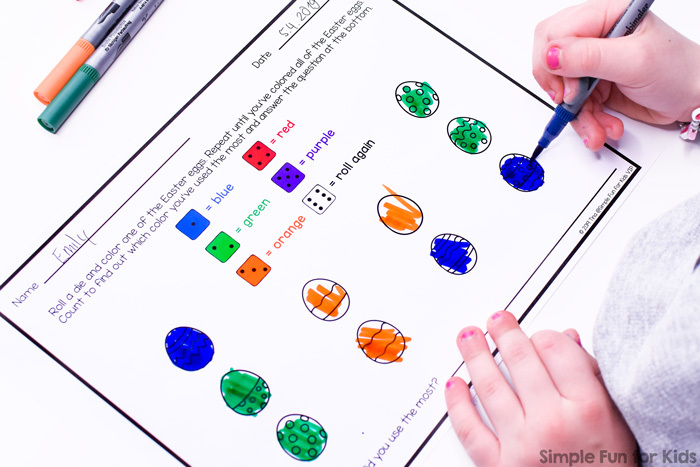 At the bottom, students are asked to answer the question which color was used the most. If you’d prefer a version with dice and color names in black OR one using different colors, you can find both in the VIP version of the file. 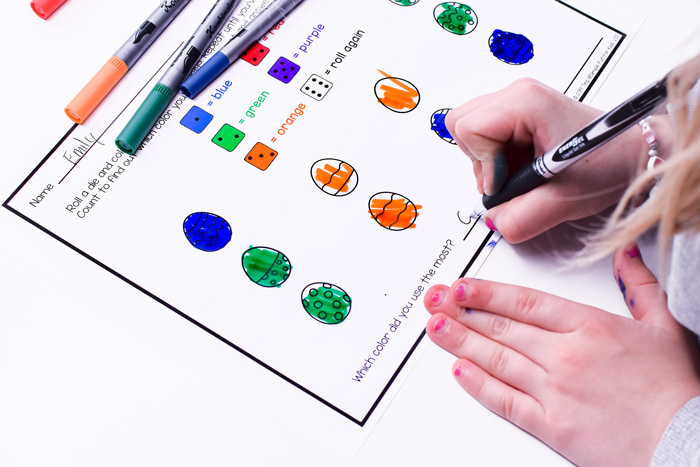 Download your free Easter Egg Roll and Color Worksheet! Or click here to see this page on my membership site, become a VIP member today, and download the entire series with a single click! 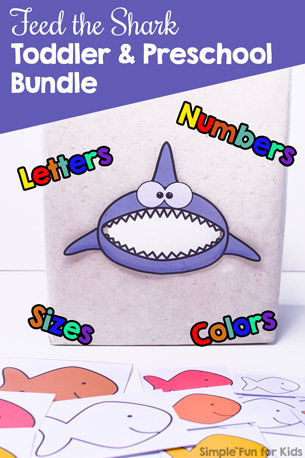 Easter Egg Matching Game for Toddlers, Easter Egg Counting Cards 1-12, and E is for Easter Egg Dot Marker Letter Find all use the same set. 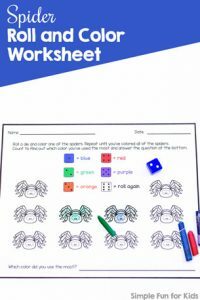 Are you looking for more math printables with dice?